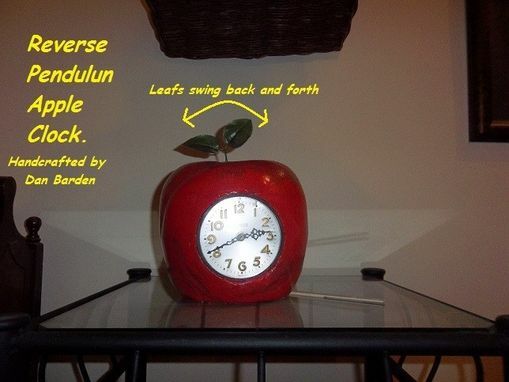 a clock custom made to look like an Apple. It is a "reverse pendulum", making the leaves on the top of the clock swing back and forth. Very unique, can be done in many styles , this one was a little on the "earthy" side.